Condo Financing: Warrantable vs Non Warrantable? What is a “Warrantable” Condo vs a “Non Warrantable” Condo? Buying a condo is a lot like buying a “detached home”, but with one big difference — mortgages can be tougher to come by. When you’re buying a condo, lenders impose a different set of rules on you, and may sometimes change your interest rate. These changes are among the reasons why you should always try to work with a great mortgage lenders. A mortgage lender who’s looking out for your best interest will actually make the difference between your loan going through. 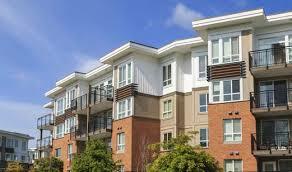 With condos and co-ops, you have to remember, it’s not just your creditworthiness the lender has to worry about. It also has to worry about the fiscal and physical health of the entire development into which you’re buying. Fortunately, with the housing market in recovery and condo values climbing, mortgage lenders are getting looser about what they’ll allow — even with respect to Low Down Payment Doctor Loans. According to CoreLogic, condominium and housing cooperative financing increased by 31% in the second quarter of 2015; and financing opportunities are expected to remain high into 2017. The majority of home buyers use what’s known as “conventional” mortgage financing. This means that their loan is backed by one of two government entities — Fannie Mae or Freddie Mac — and that the loan meets the two group’s minimum standards. With respect to condominiums, Fannie Mae and Freddie Mac use the term “warrantable” to describe projects and properties against which they’ll allow a mortgage. Condo projects and properties which don’t meet Fannie Mae and Freddie Mac warrantability standards are known as non-warrantable. A warrantable condo will get you access to lower mortgage rates than a non-warrantable condo because warrantable condos are lower risk to the bank. For buyers of non-warrantable condos, mortgage financing is a more of a challenge. There are fewer lenders available from which to get a loan. In addition, a condo unit in a project involved in litigation of any kind will typically be given “non-warrantable” status. This is true regardless of whether the building is suing another party, or is the party being sued. Non-warrantable condo financing is unavailable via Fannie Mae and Freddie Mac, and the FHA and the VA. To get a non-warrantable condo mortgage, you’ll need to talk with a speciality lender. There are plenty of them online. Call as many lenders on our list needed to find the best option for you.